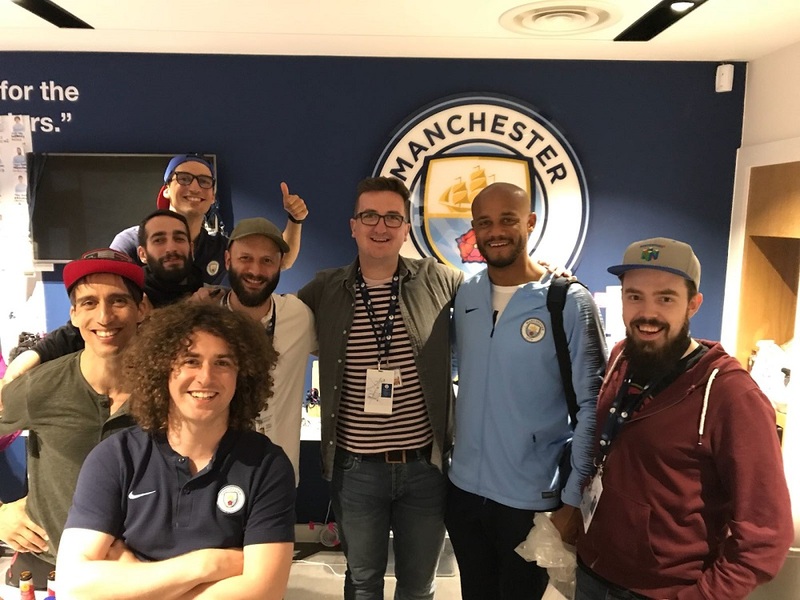 He is a born and bred Newcastle United fan but nothing was going to stop Jonathan Smith devoting eight months of his life to Manchester City. The University of Sunderland Media Production graduate has just helped produce an acclaimed documentary series watched by millions. The 27-year-old graduated from the University in 2013 and has since gone onto build an impressive CV of TV and film work. Now, his senior assistant producer role on Amazon TV documentary series ‘All or Nothing: Manchester City’ has seen him switching from black and white to blue. The docu-series charted Manchester City's progress through their 2017–18 season, in which they won two of four contested trophies and broke a series of Premier League performance-related records. Jonathan, who is from South Shields, said: “A friend of mine who I’d worked with before had got in touch and said they were looking for an assistant producer for this potential series. “It was all at the very early stages but he wondered if I’d be interested, which of course I was. “Nothing like this had ever really been tried before with a football team, they’d done similar docu-series in the US with the NFL, but not over here. Most of the filming on the series took place between October 2017 and May 2018, meaning Jonathan would have to be away from his North East family, including two-year-old son Nolan. So Jonathan temporarily relocated to Manchester for seven months before heading to Barcelona for several weeks in the edit offices of production company Mediapro where the thousands of hours of documentary footage was cut down to help make the eight, 50 minute episodes. All or Nothing: Manchester City covered the club’s 17/18 season, documenting everything from Pep Guardiola's locker room talks to sneak-peeks inside players' houses. The series won critical acclaim and was described as “mesmerising”. After graduating from the University, Jonathan worked as a runner on MTV’s popular Geordie Shore series before getting involved with several film projects as well as working with BT Sports and the BBC. So did Magpie fan Jonathan have any qualms about switching sides for the season? ”Well, if nothing else I got to see a winning team for a change,” he jokes. For more information on Jonathan contact enquiries@jonathansmith.tv.